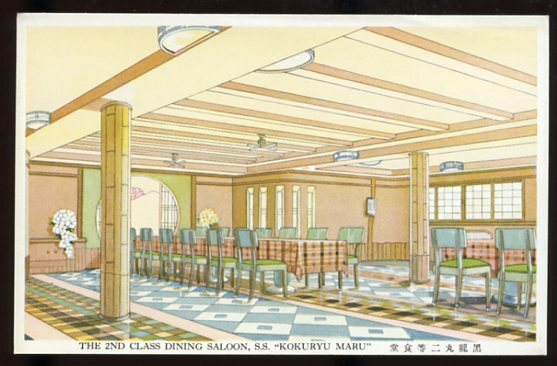 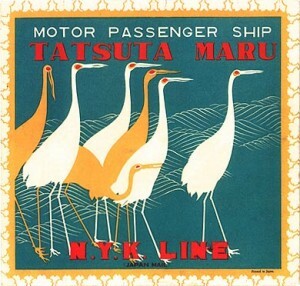 Home / CRUISING THE PAST / Trans-Pacific Liner Memories – the NYK and OSK passenger ships – postcards from the heyday of Japan’s great trans-Pacific passenger fleet area between WWI and WWII. 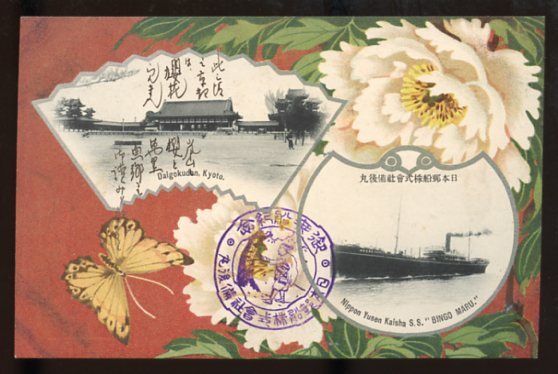 Trans-Pacific Liner Memories – the NYK and OSK passenger ships – postcards from the heyday of Japan’s great trans-Pacific passenger fleet area between WWI and WWII. 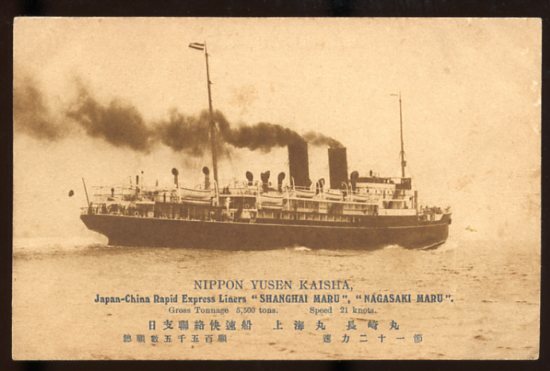 One of Japan’s proudest periods in passenger shipping was the 1929 building of two of the finest and most luxurious ships ever to sail the Pacific Ocean – the Asama Maru and Tatsuta Maru. 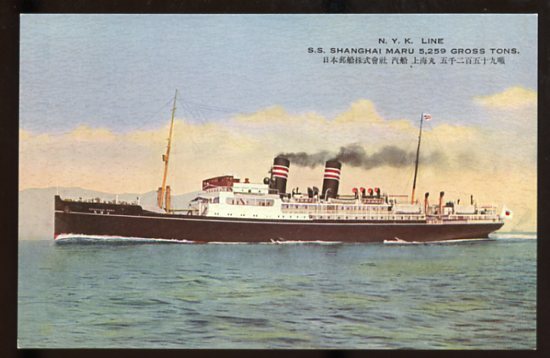 They were routed on NYK Line’s premier express service, regularly sailing from Hong Kong, Shanghai, Kobe and Yokohama to Honolulu, Los Angeles and San Francisco. 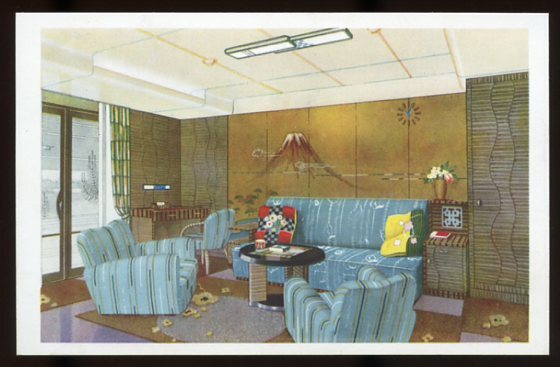 Their passenger areas were of the highest quality, much of it in traditional European style. 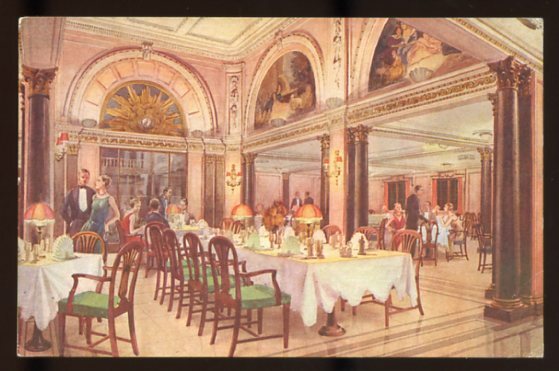 There were polished woods, stained glass skylights, fine dining rooms, lounges, library, gift shop, hair salon, comfortable cabins and a swimming pool on deck. 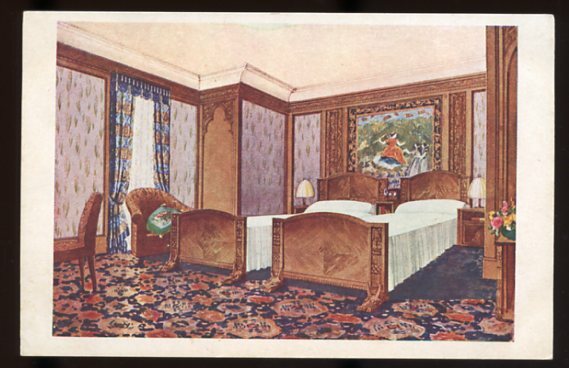 This was luxury cruising at its finest. 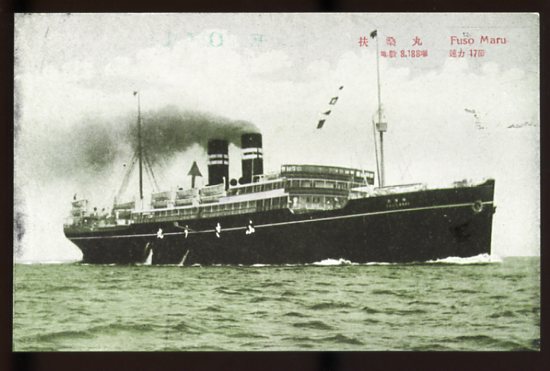 Notable passengers who sailed on these fine ships included Albert Einstein and Charlie Chaplin. 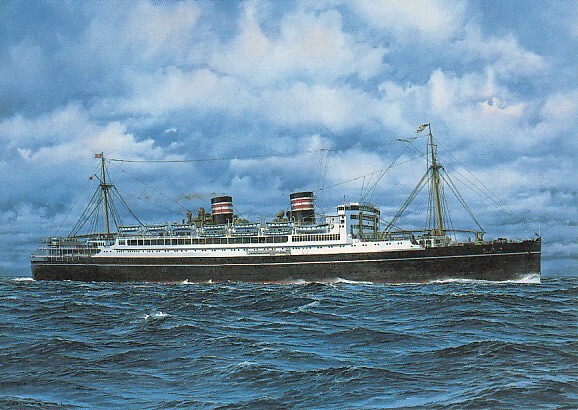 The Asama Maru was the first to enter service in 1929 and she soon set the record for the fastest crossing of the Pacific on the Yokohama to San Francisco route. Her sister, the Tatsutu Maru entered service in 1930. In 1936 the Tatsutu Maru become the first merchant ship to pass under the new Bay Bridge linking San Francisco and Oakland. 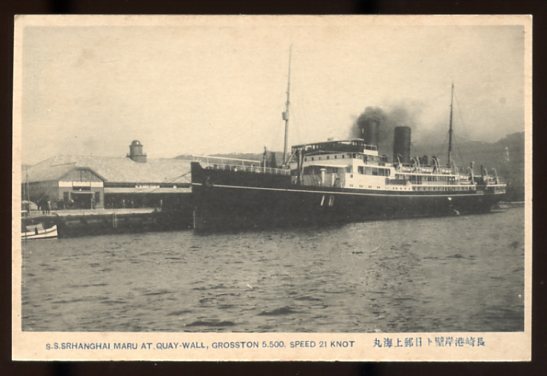 In 1937 the Asama Maru suffered a mishap when she was driven aground in Kowloon Bay during the Great Hong Kong Typhoon. 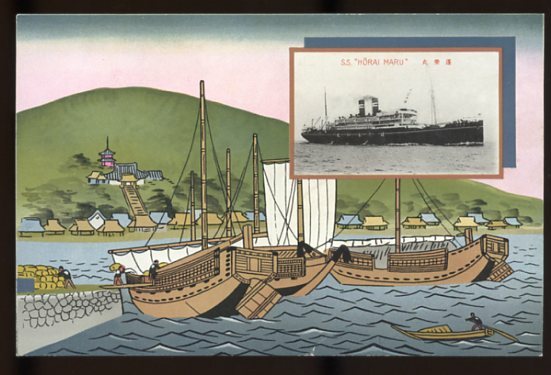 After the outbreak of the Second World War both ships were requisitioned as troopships but unfortunately both were sunk and did not survive the war and it was left to the Hikawa Maru to re-establish the trans-pacific service. 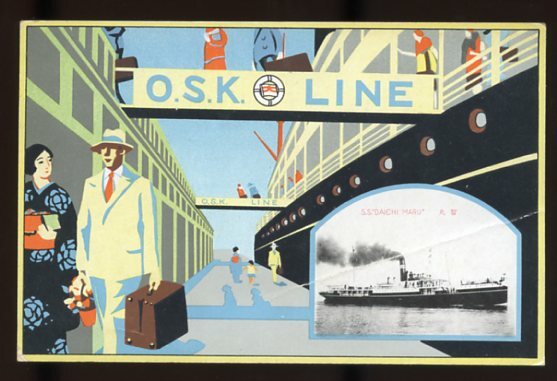 The OSK AND NYK LINES were the equivalent of Japan’s Cunard and US Lines before WWII. 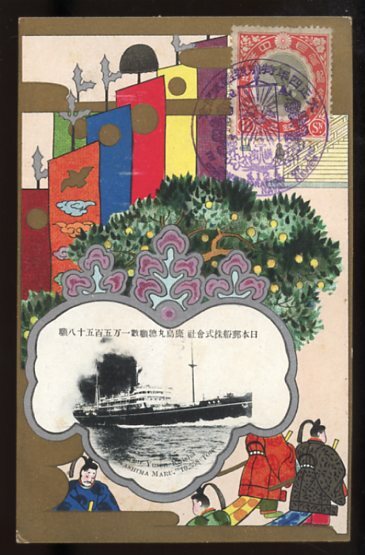 The Japanese trans-pacific service was booming during the interwar years following the First World War. 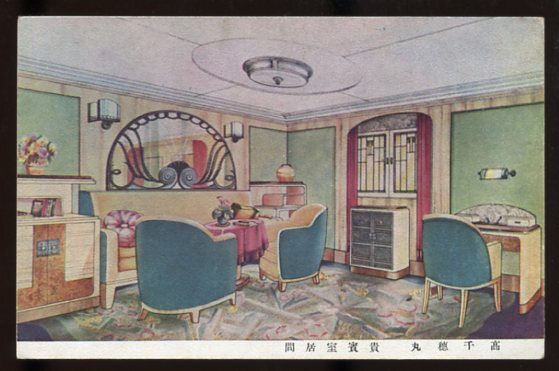 NYK and OSK were ordering new and more luxurious ships for the prestigious trans-pacific service. 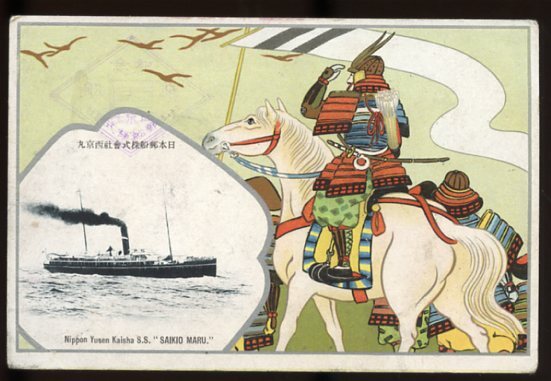 Seen below are elegant postcards from Japan’s two major shipping companies – during the heyday of their passengers service between WWI and WWII. 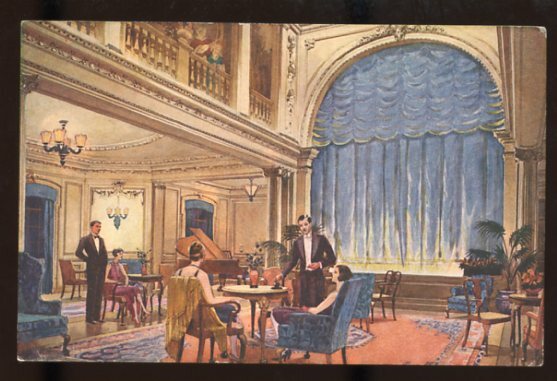 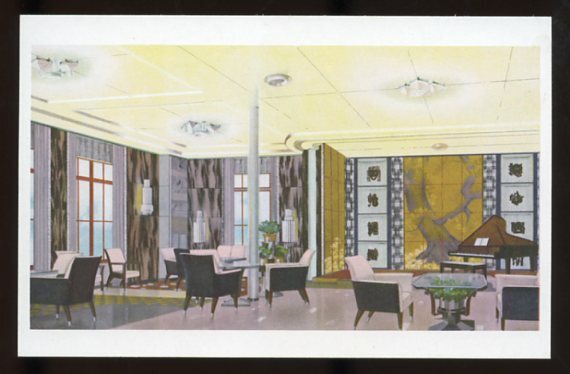 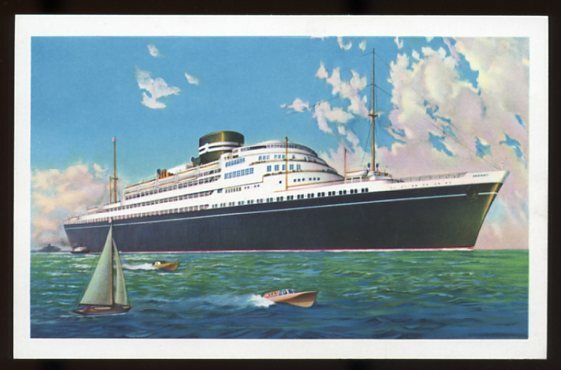 Click below to see a large collection of wonderful post cards from NYK and OSK Lines.